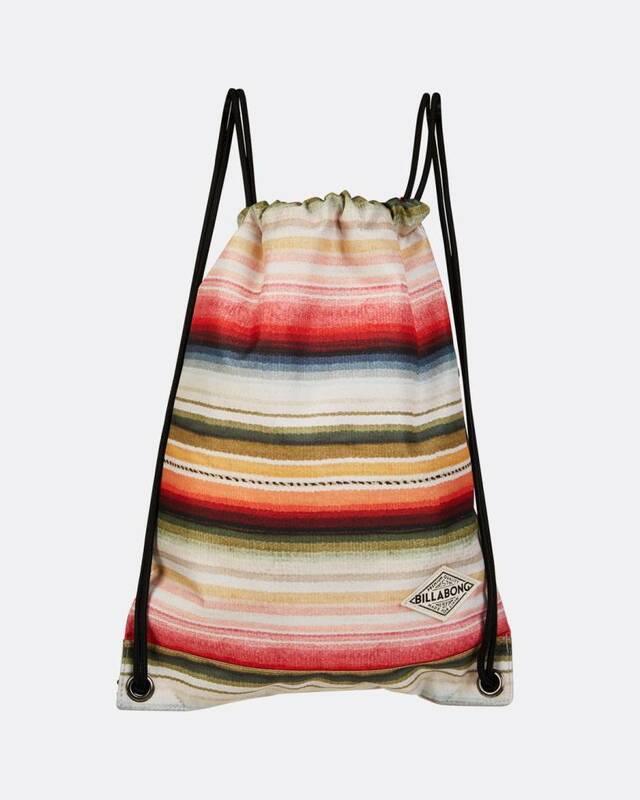 Wander on without leaving behind the essentials with this compact travel bag. 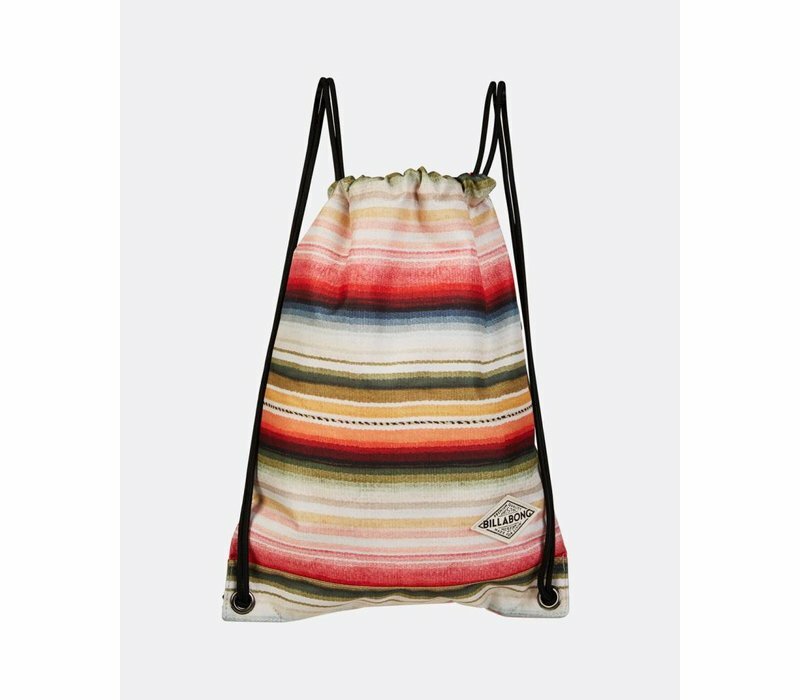 Lightweight and easy to pack, the cinch top backpack features a serape stripe print and logo patch at the front. Dimensions: 15 x 13 inches.